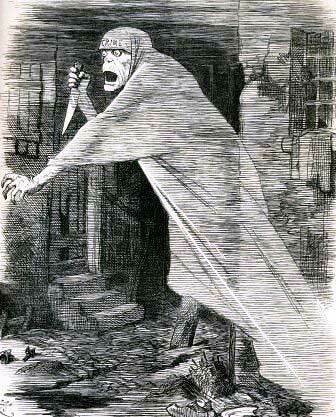 Jack the Ripper is an entity that creates as much intrigue, mystery and fear today as he did in London in 1888! Perfect for Halloween, Paul Voodini presents the world famous Jack the Ripper Séance! This detailed manuscript provides the mystery performer with all the information required to stage a frighteningly good evening of murderous séance theater, exactly as the Great Voodini has been presenting to the paying public in London’s famous Covent Garden theatreland! No pipe dreams here! This manuscript is the result of performing for paying members of the public! With the express intention of establishing spirit communication with Jack the Ripper and his unfortunate victims, your guests will be taken on a heart-stopping journey through the fog shrouded streets of Victorian spiritualism, mesmerism, séance and even past life regression! And the best thing about this night of séance and paranormal entertainment? There are no gimmicks involved at all! Voodini’s séances are famous for utilizing only the power of your guests’ imagination – and this manuscript details exactly how to get your guests so excited that once the lights are turned off they will experience exactly what you want them to experience! Alongside the full details and script for the evening of séance and paranormal entertainment, the PDF also includes all the background material on Jack the Ripper, his heinous crimes, and his unfortunate victims that you will need to appear a knowledgeable “Ripperologist” and master of the occult arts! This ebook can also be seen as a blueprint to which you can add your own routines and develop into your own unique evening of ghoulish entertainment should you so wish.